It’s origin as well as the origin of the Flower of Life shrouds in mystery that can be traced back in time thousands of years ago. The importance of the Flower of Life lies in the hidden structure within it - The Fruit of life which is the “Holy of holies” of Sacred Geometry. 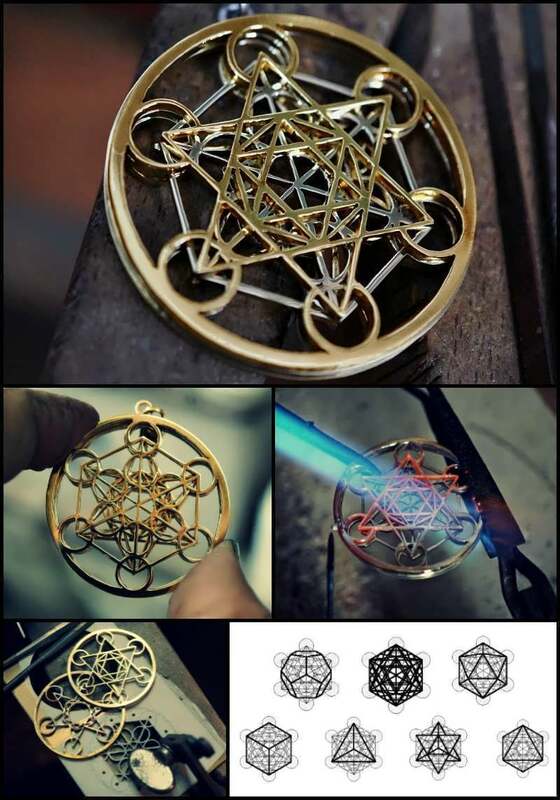 It can be derived out of the Flower of life structure when we create a thirteen circles pattern out of the Flower pattern. Why was this structure so important and secretive? The reason is in its potential. If we connect all the possible centers of the circles we will receive 78 lines, creating a structure known as Metatron’s cube. This structure contains bidimensional drawings of all the 5 Platonic Solids: the cube, the tetrahedron, the octahedron, the dodecahedron and the Icosahedron. These structures are unique in having all their vertexes tangent with the surface of a sphere. These structures, and their different combinations, create every possible molecular structure and every possible geometrical law , basically creating the unseen pattern behind the reality we live in. It is interesting to see how, for example the Pythagoreans used one of the five platonic solids The Dodecahedron. Each facet of a dodecahedron is actually a pentagon/pentad. The pentad was so revered to early Greek philosophers and the disciples of Pythagoras that it’s construction and it’s divine proportions were kept secret. The pythagoreans used it as a symbol to recognize one another.They learned it’s relation to the Divine Proportion (The Golden Mean) which is one of nature’s basic mathematical/geometrical laws, and they discovered how this proportion affects the human psyche (we respond/react to this proportion as harmonious and beautiful with a deep tranquilizing effect). 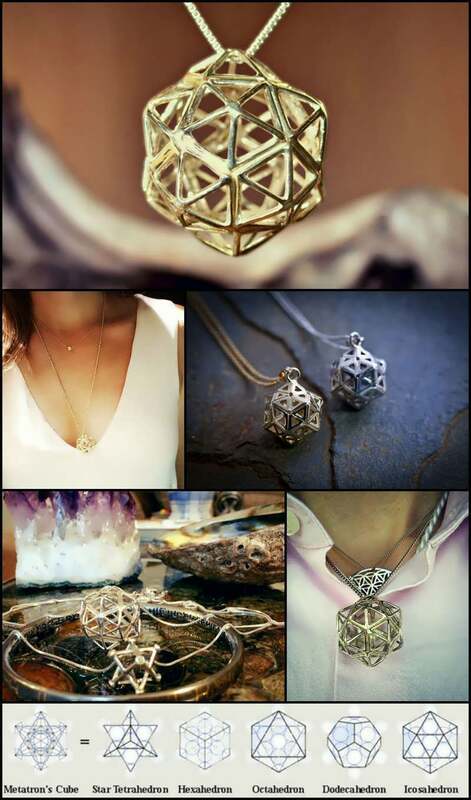 This beautiful sacred geometry structure is a combination between two of the Platonic Solids, the Icosahedron and the Dodecahedron. During that year, there were many attacks of suicide bombers in a certain area of Jerusalem. 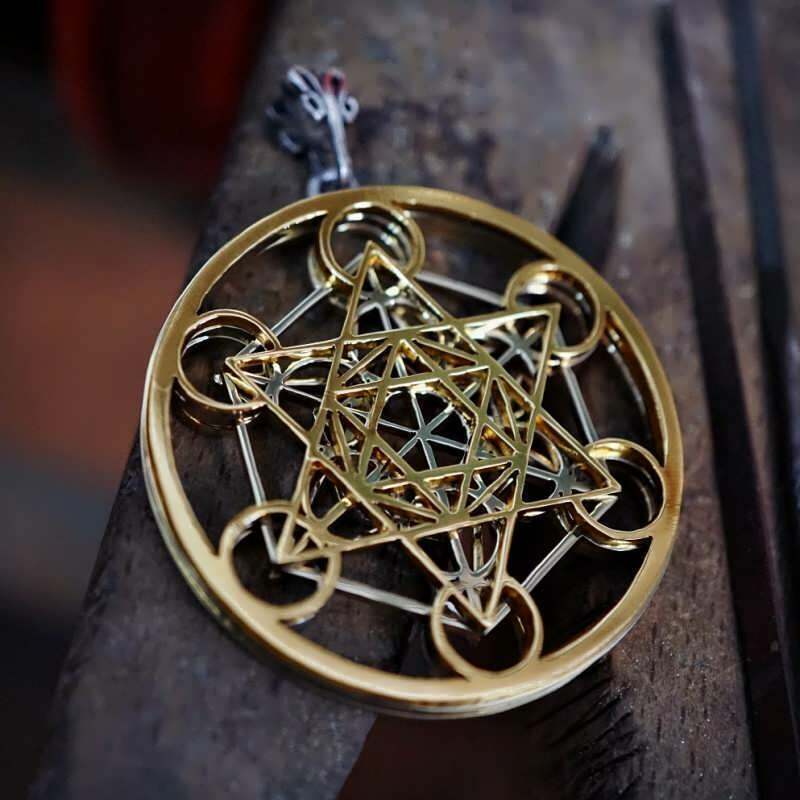 One day I received a phone call from a guy from Norway who told me that he saw my work and had to give me information regarding this specific pendant. 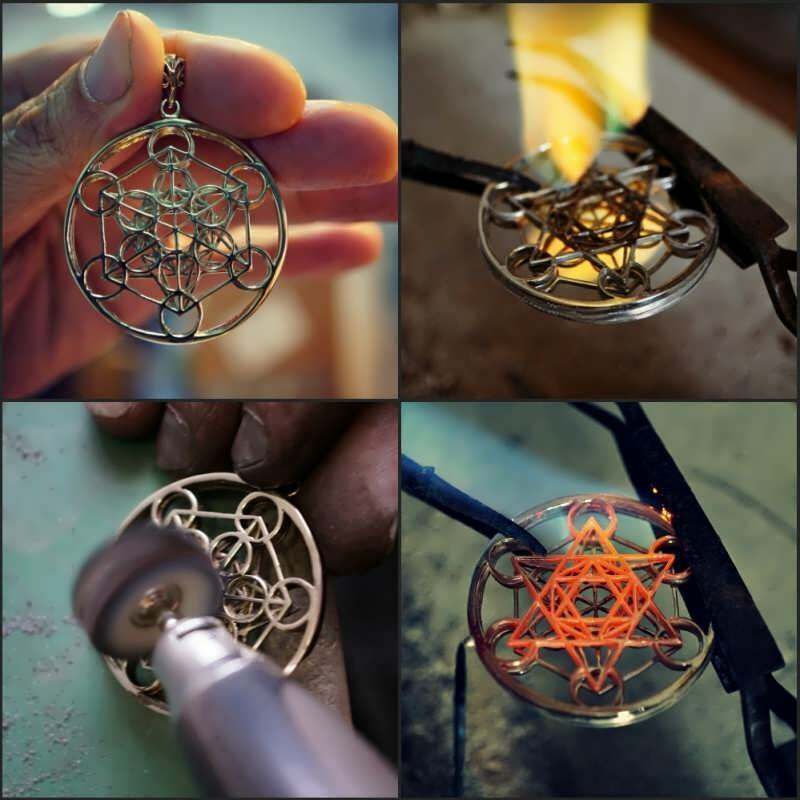 curious , I invited him to my workshop and during the meeting he told me that if I will place 30 pendants in different locations in Jerusalem the violence will end. Though I was sceptic, I found myself a week later with a group of people from all around the world conducting a ceremony and a prayer for peace. After the ceremony I gave each one of them one of the 30 pendants I brought with me.